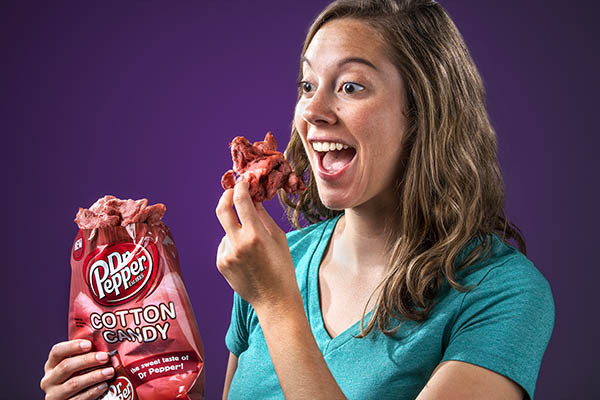 Dr Pepper Cotton Candy: Cotton candy that tastes like the popular soda. When it comes to fried food on a stick, carnivals will seemingly experiment with anything. Yet that spirit of innovation hasn’t made it to the cotton candy booth, leaving you stuck with just a couple of choices. 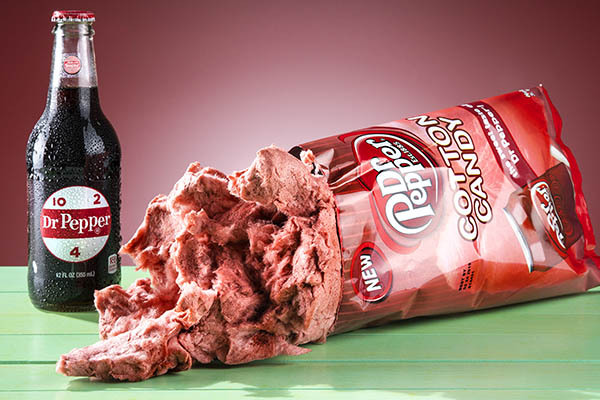 Now you can enjoy a new cotton candy flavor—one that’s deliciously familiar! 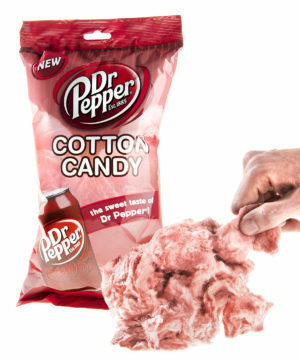 Dr Pepper Cotton Candy distills the distinctive taste of the popular soda into the sweet, airy snack we all know and love. Savor all 23 flavors of the famously secret formula as you let a tuft of the sugary treat dissolve in your mouth. It’s a fun way to enjoy the classic drink and a tasty new take on the carnival snack.